"There is a plague coming....For forty days and forty nights fear shall savage the streets. Those steeped in sin shall burn. The dying begins now" With this chilling message a wave of terror unlike anything the world has ever seen sweeps the streets of Europe. Thirteen martyrs burn themselves alive in thirteen major cities simultaneously. And this is just the beginning. A religious cult calling itself the Disciples of Judas has risen in the Middle East. They twist the words of ancient prophecies to drive home the fear. Everything you believe in will be proved wrong. Everything you hold true will fail. Day by day the West wakes to increasingly harrowing acts of terror. As fear cripples the capitals of Europe, the only question is where will be the next to fall? London? Rome? Berlin? 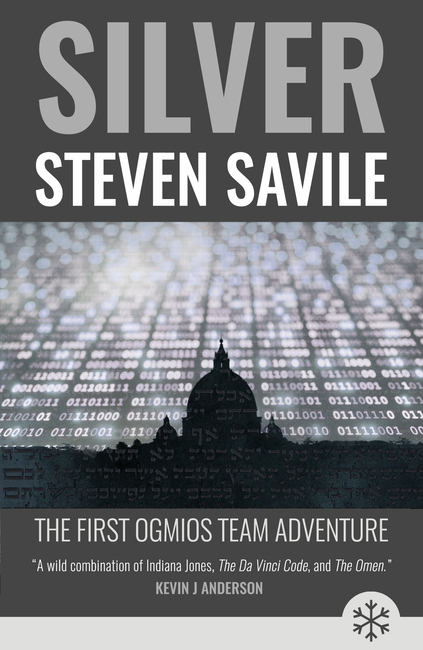 In a race against time - believing the terrorists intend to assassinate the Pope - Sir Charles Wyndham's unique Special Ops team, codename Ogmios, track a labyrinthine course through truth, shades of truth and outright lies that takes them from the backstreets of London to the shadow of Checkpoint Charlie in Berlin and all the way into the heart of the Holy See itself.